Although the health benefits of cocoa flavanols have been well-established,2-10 the precise biological mechanisms that give rise to these effects are poorly understood. The major challenge associated with these studies results from the complex mixture of metabolites believed to be responsible for the biological activities. 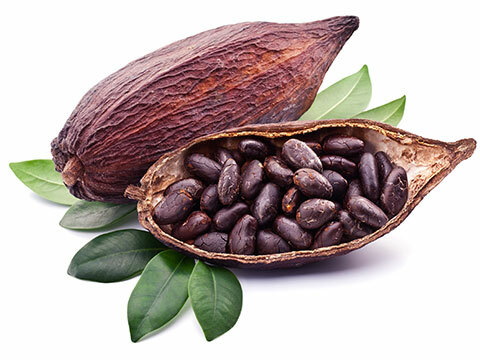 (-)-Epicatechin, the major constituent in cocoa is rapidly metabolized in vivo to give a wide variety of methylated, sulfated and glucuronidated products. Since each of these unique compounds, within a given class, have the same molecular weight, it is very difficult to determine which specific isomers are formed and how they exert their biological effects. As a critical first step towards solving this complex problem, analytical standards for each metabolite were needed. A general synthetic strategy was envisioned where a series of late-stage orthogonally protected intermediates could be used to prepare all target compounds. As illustrated in Scheme 1, selectively protected acetophenone and benzaldehyde moieties would be coupled using an Aldol condensation. Reduction of the ketone followed by Sharpless dihydroxylation and cyclization would give the (-)-epicatechin core structure. Selective deprotection of this late-stage intermediate would allow introduction of the desired sulfate or glucuronide, then deprotection would give the desired product. By varying the specific protecting groups in the initial starting materials, the sulfate or glucuronide could be introduced at the desired position. Successful implementation of this strategy resulted in the synthesis of all possible mono-glucuronides and mono-sulfates (10 each) of (-)-epicatechin, 3’-OMe and 4’-OMe-(-)-epicatechin. An example of the final method is illustrated in Scheme 2 with synthesis of (-)-epicatechin-5-sulfate ammonium salt. Here the trihydroxy acetophenone is selective protected with benzyl and methoxymethyl groups at the 4’ and 6’-positions respectively (4). Aldol condensation, followed by protection of the free hydroxyl, Luche reduction of the ketone and Sharpless dihydroxylation gives diol 9 with > 99% ee. Cyclization with triethylorthofomate and PPTS gives protected intermediate 10. Hydrolysis, followed by inversion of the hydroxyl group stereochemistry via Dess-Martin oxidation and reduction with Al(Oi-Pr)3 gives hydroxy intermediate 11. Treatment with BnBr and base and selective deprotection of the methoxymethyl ether gives key intermediate 12. Here either the sulfate or glucuronide can be conveniently introduced. Once complete, deprotection of the remaining benzyl groups give the desired product 14. Reagents and conditions: (a) TBDMSCl, imidizole, DMF; (b) PPTS, MeOH; (c) CH3OCH2Br, EtNi-Pr2; (d) TBAF, AcOH, 0 oC; (e) BnCl, K2CO3, DMF; (f) NaH, 3,4-bis(benzyloxy)benzaldehyde, DMF; (g) NaBH4, CeCl3, 0 oC; (h) TBDMSCl, imidizole, DMF; (i) ADMIX-alpha, MeSO2NH2, t-BuOH, water, THF; (j) TBAF, AcOH, 3 oC; (k) TEOF, PPTS, CH2Cl2; (l) NaOMe, MeOH, THF,3 oC; (m) Dess-Martin, CH2Cl2; (n) Al(Oi-Pr)3, IPA, reflux; (o) BnBr, NaH, DMF; (p) PPTS, IPS, reflux; (q) ClSO2OCH2CCl3, Et3N, DMAP, THF; (r) H2, Pd-C, EtOAc; (s) Zn, MeOH. Using this general strategy, the hydroxyl groups of 2,4,6-trihydroxy acetophenone and 3,4,-dihydroxybenzaldehyde are selectively protected as benzyl ethers or a methoxymethyl ether, then combined in an Aldol reaction. The Aldol product is converted to a late-stage intermediate over several steps (e.g. 12), where either a trichloroethylsulfonyl chloride or 2,3,4-tri-O-acetyl-1-O-(trichloroacetimidoyl)-α-D-glucuronate is coupled to the single free hydroxy group. Then a two-step deprotection give the target compounds. With all twenty target compounds complete, analytical HPLC methods were developed to separate each of the sulfate and glucuronide products. Results from this work are being used to decipher the specific metabolic profile of (-)-epicatechin and understand the biological activities of each specific phase II metabolite. Sansone, R., Rodriguez-Mateos, A., Heuel, J., Falk, D., Schuler, D., Wagstaff, R., Kuhnle, G. G., Spencer, J., Schroeter, H., Merx, M., Kelm, M. and Heiss, C. Cocoa flavanol intake improves endothelial function and Framingham Risk Score in healthy men and women: A randomised, controlled, double-masked trial: The Flaviola Health Study. British Journal of Nutrition (2015), 114(8), 1246-1255. Schroeter, H., et al. (-)-Epicatechin mediates beneficial effects of flavanol-rich cocoa on vascular function in humans. Proc Natl Acad Sci U S A, 2006. 103(4): p. 1024-9. Karim M, McCormick K, Kappagoda C T, “Effects of cocoa extracts on endothelium-dependent relaxation”, J. Nutr. Suppl. (2000), pp. 2,105-2,108. Heiss C, Dejam A, Kleinbongard P, Schewe T, Sies H and Kelm M, “Vascular effects of cocoa rich in flavan-3-ols”, JAMA (2003), 290: pp. 1,030-1,031. Fisher N D L, Hughes M, Gerhard-Herman M and Hollenberg N K, “Flavanol-rich cocoa induces nitric-oxide-dependent vasodilation in healthy humans”, J. Hypertens. (2003), 21: pp. 2, 281-2,286. Hollenberg N K, Martinez G, McCullough M, Meinking T, Passan D, Preston M, Rivera A,Taplin D and Vicaria-Clement M, “Aging, acculturation, salt intake and hypertension in the Kuna of Panama”, Hypertension (1997), 29: pp. 171-176. Hertog M G, Feskens E J, Hollman P C et al.,“Dietary antioxidant flavonoids and risk of coronary heart disease: The Zutphen Elderly Study”, Lancet (1993), 342: pp. 1,007-1,011. Hertog M G, Kromhout D, Aravanis C et al., “Flavonoid intake and long-term risk of coronary heart disease and cancer in the Seven Countries Study”, Arch. Intern. Med. (1995), 155: pp. 381-386. Rimm E B, Katan M B, Ascherio A et al., “Relation between intake of flavonoids and risk for coronary heart disease in male health professionals”, Ann. Intern. Med. (1996), 125: pp. 384-389. Hertog M G, Sweetman P M, Fehily A M et al., “Antioxidant flavonols, and ischemic heart disease in a Welsh population of men: The Caerphilly Study”, Am. J. Clin. Nutr. (1997), 65: pp. 1,489-1,494. Creager M A and Luscher T F and “Diabetes and vascular disease”, Circulation (2003), 108: p. 1,527. Steinberg F M, Bearden M M and Keen C L, “Cocoa and chocolate flavonoids: Implications for cardiovascular health”, J. Am. Diet. Assoc. (2003), 103: pp. 215-223. Taubert D, Berkels R, Roesen R and Klaus W, “Chocolate and Blood Pressure in Elderly Individuals with Isolated Systolic Hypertension”, J.Am. Med.Assoc. (2003), 290: 8: pp. 1,029-1,030.